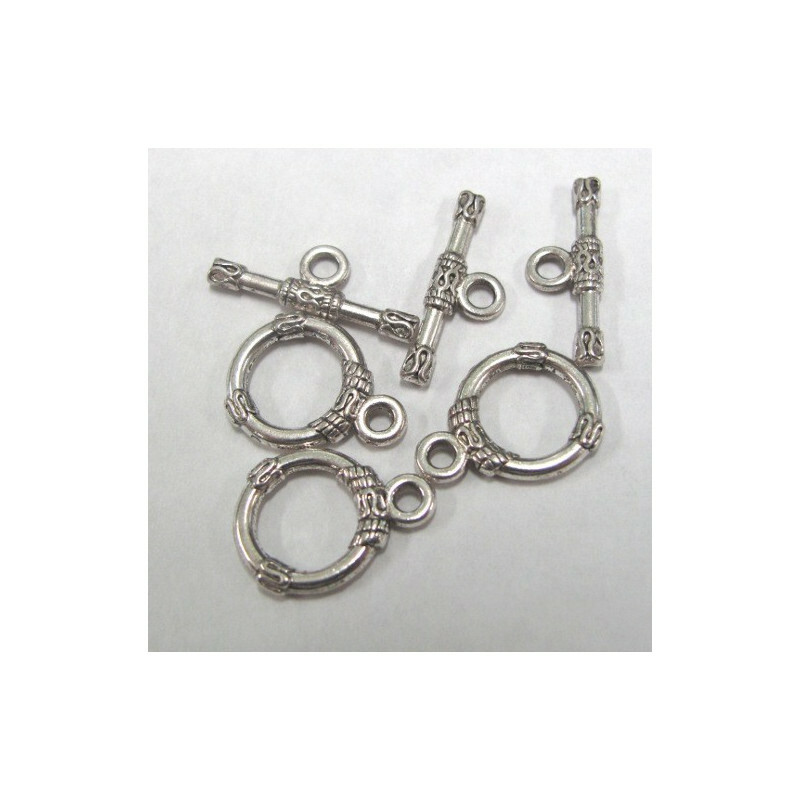 F4850 - Bali style toggle clasp. Pack of 10. 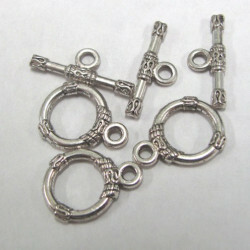 F4850 - Bali style toggle clasp. Pack of 10. Although these are called Bali style they are definately nickel free! A nice toggle with pretty detail. Approx diam of ring 13mm. F4850 - Bali style toggle clasp. Pack of 10. Although these are called Bali style they are definately nickel free! A nice toggle with pretty detail. Approx diam of ring 13mm. Nice antique silver colour finish.